With two girls aged almost-five and seven, this list was so much fun to put together. But now I want them all. 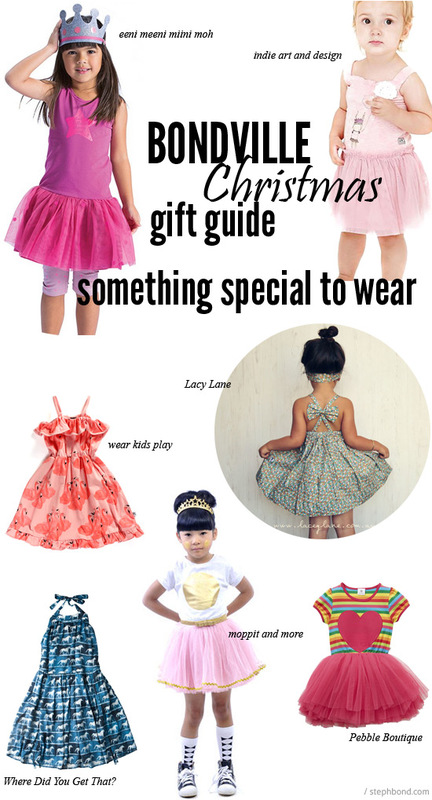 Oh and here's a massive tip - if you love the style of the Hootkid heart tutu dress, head to Pebble Boutique where you'll find a many Hootkid dresses, tights and clothes on a massive sale. I snapped up a bunch yesterday for next year! These products are all Australian brands available at Australian online stores (listed on the Shop page). Keep in mind that shopping locally puts dollars back into Australian families' pockets - and that's a pretty good thing!